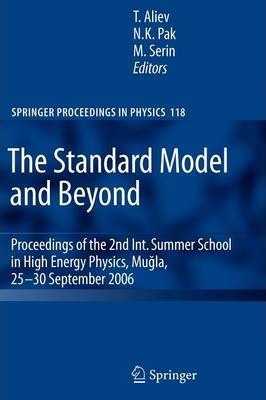 This volume collects the edited tutorial lectures given at The Second International Summer School in High Energy Physics in Mugla, Turkey, in September 2006 - an annual event with international participation and a special focus on work done in the regions of central Asia. With emphasis on the standard model and beyond, lectures were devoted to presenting an introduction and update to many relevant topics. Illustrations note 4 Tables, black and white; X, 198 p.
This volume collects the edited tutorial lectures given at The Second International Summer School in High Energy Physics in Mgla, Turkey, in September 2006 - an annual event with international participation and a special focus on work done in the regions of central Asia. to Chiral Perturbation Theory.- to Higgs Sector: Theory and Phenomenology.- Heavy Flavor and B Physics.- CP Violation: Experimental Results in B Decays.- Worldline Formalism and It's Application to AdS/CFT Correspondence.- Course on Grand Unification.- Neutrino Physics and Astrophysics: Highlights.